The overarching concept of delivering computing resources through a global network was rooted in the sixties. The idea of an “intergalactic computer network” was introduced by J.C.R. Licklider, who was responsible for enabling the development of ARPANET (Advanced Research Projects Agency Network) in 1969.” His vision was for everyone on the globe to be interconnected and accessing programs and data at any site, from anywhere”, explained Margaret Lewis, product marketing director at AMD. “It is a vision that sounds a lot like what we are calling Cloud computing.” Other experts attribute the Cloud concept to computer scientist John McCarthy who proposed the idea of computation being delivered as a public utility, similar to the service bureaus which date back to the sixties. The initial version of AWS in 2002 was focused more on making information available from Amazon to partners through a web services model with programmatic and developer support and was very focused on Amazon as a retailer. While this set the stage for the next steps, the launch of S3 was the true step towards building a Cloud platform. The real breakthrough however was the pricing model for S3 which defined the model of ‘pay-per-use’ which has now become the defacto standard for Cloud pricing. Also the launch of S3 really defined the shift of Amazon from being just a retailer to a strong player in the technology space. EC2 had a much quieter launch but had the bigger impact by making core computing infrastructure available. This completed the loop on enabling a more complete Cloud infrastructure being available. In fact, at that time, companies had some difficulty in understanding what the big deal is, and thought it looks similar to other hosting services available online only with a different pricing model. The launch of Google App Engine in 2008 was the entry of the first pure play technology company into the Cloud Computing market. Google a dominant Internet company entering into this market was clearly a major step towards wide spread adoption of Cloud computing. As with all their other products, they introduced radical pricing models with a free entry level plan and extremely low cost computing and storage services which are currently among the lowest in the market. The entry of Microsoft into Cloud Computing is a clear indication of the growth of the space. Microsoft for long has not accepted the Internet and the web as a significant market and has continued to focus on the desktop market. This is now a clear shift in the march towards cloud adoption. The launch of Azure is a key touchstone in the evolving future of cloud computing. 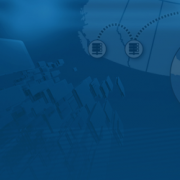 Have questions about dedicated, private, Canadian cloud infrastructure solutions? We can help! Happy Holidays From Server Cloud Canada. We’ve been solving technology and networking engineering problems since 1996. Learn more about what SCC can do for you.